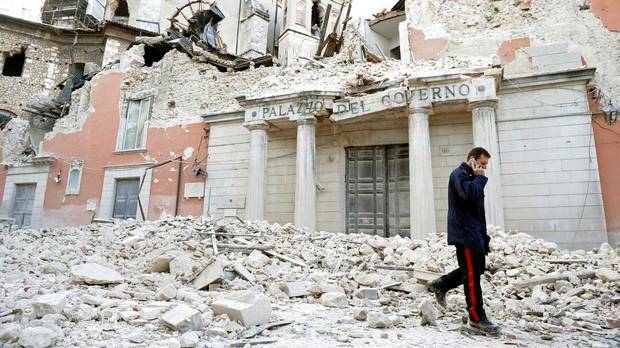 The 2009 L’Aquila earthquake may have tumbled buildings, but some are wondering whether the criminal conviction of seismologists who failed to predict the quake is shaking more important foundations (Credits: Alessandro Bianchi/Reuters). The 2012 conviction of six Italian seismologists on criminal charges has shocked people around the world. The scientists have been blamed for failing to predict a 2009 Italian earthquake that claimed property and lives. While it is true that the predictions of these scientists did not match actual events, the suggestion that they are guilty of criminal misconduct is unrealistic and outrageous. Their arrest and conviction is an abuse of the law and an unfair ordeal for these people. At the time of writing, the seismologists have not begun to serve their six-year jail sentences and are expected to appeal their convictions. It is not clear if the judgments will be overturned, but even if this happens, the treatment of these scientists is still deplorable. The global scientific community has responded with dismay, but it seems that the potential impact of these arrests has not been fully understood. This incident could set a nasty precedent for the further conviction of scientists in other disciplines and other countries. Politicians and other powerbrokers regularly use scapegoats to absorb blame when things go wrong. If the generally lukewarm response of the global scientific community to this event is any guide, scientists could be setting themselves up as easy fall guys for unscrupulous leaders in the future. Let’s get through the technical issues. Seismology is an advanced science but it is far from being a totally reliable tool for predicting earthquakes. The Italian team probably did the best that they could with the knowledge and the resources available to them. Elsewhere in the world, seismologists generally have no more luck than the Italians with their predictions, but stay out of prison. This applies to other disciplines such as atmospheric sciences. Imagine if weather forecasters who failed to predict accurately were charged as criminals. Very few would avoid arrest! How should this affect people working in space science or space safety? Apart from tapping a common interest in justice and solidarity with other scientists, we should acknowledge that this could impact space research and engineering. Areas such as space weather forecasting, debris analysis and other sub-disciplines within space safety are also prone to uncertainties and imperfect methodologies. If spacecraft, personnel and other infrastructure are damaged in the future, will space scientists be judged to be negligent? Even if criminal charges are not laid by prosecutors, could more civil lawsuits be enacted? The case of the six seismologists could turn out to be an isolated and strange incident in the history of modern law. But it could also set a trend. The near future will be critical in determining the long-term influence of this event. This will depend on the actions of Italy’s legal system, and it will also depend on the actions of scientists and interested parties around the world. A little activism on the part of the scientific community could save a lot of trouble. People can email letters of protest to Italian embassies and consulates, as this writer has done. They can discuss the incident with colleagues or prompt responses by professional associations. We need to take action now, while the problem is still at an early stage and can be more easily addressed. Ignoring this problem gives it an opportunity to grow. Dr. Morris Jones is an Australian space writer and a frequent contributor to SpaceDaily.com. The opinions expressed are those of Dr. Jones and do not necessarily reflect the views of Space Safety Magazine, the International Association for the Advancement of Space Safety, or the International Space Safety Foundation.